Eighty percent of kiwi children can not swim well enough to save themselves if they find themselves in trouble in the water. Water safety within swimming pools in New Zealand is an ongoing issue as many New Zealanders’ enjoy a vast range of aquatic activities that the New Zealand environment offers, whether at home, the beach, a pool or river but New Zealanders have insufficient skills and knowledge to prevent accidental deaths from occuring within these environments. The thing is, that we all know that water presents a potential hazard, but are often unsure of what precautionary measures to take, especially as drowning is consistently the third highest cause of unintentional death in New Zealand, surpassed only by road vehicle crashes and accidental falls. I conducted research and my findings showed that there are already many prevention strategies in place but what needs to change the most is the attitudes towards water safety. Close adult supervision is a necessity for children of all ages and having more supervision and awareness of what can happen should drive parents, and guardians in the right direction to be more involved when taking their kids to the pool. I have designed a concept that uses fear appeal but has a heavy focus on giving the care givers a new perspective and reassurance if you will. A kinect camera would be installed in one of the walls of pool and it would project whatever is happening in the pool on a screen outside of the pool for parents and care givers to have a better viewpoint. 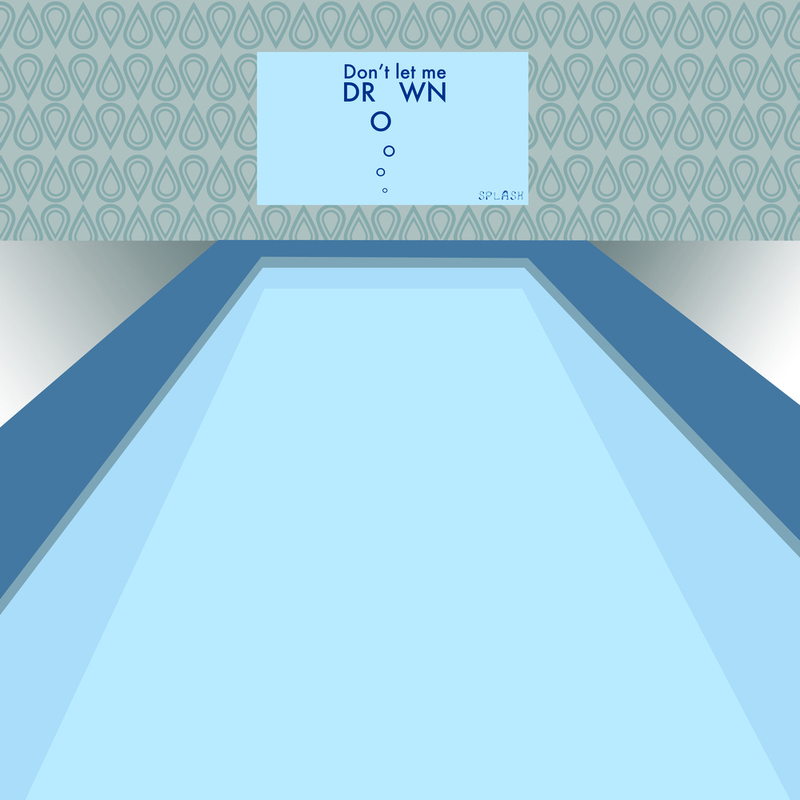 When no one is using the swimming pool, the screen can be used to advertise and promote local or national products and services or act as a simple screensaver as the system does not have anything to focus on. When swimmers are in the pool the Kinect system registers users and places animated bubbles around the swimmers, their faces in particular, to indicate that they are breathing and are safe in the water. If the Kinect system senses that a swimmer is in potential danger the bubbles surrounding the swimmer begin to change colour and their thicknesses increase to indicate to onlookers, parents/guardians and lifeguards that they need to watch closely. Unfortunately if a swimmer does start drowning all the surrounding bubbles continue to increase in thickness, glow, and move rapidly to symbolize danger and that immediate action needs to take action.